The "promised land" for thousands of Southern blacks, postwar Chicago quickly became the most segregated city in the North, the site of the nation's worst ghettos and the target of Martin Luther King Jr.'s first campaign beyond the South. In this powerful book, Beryl Satter identifies the true causes of the city's black slums and the ruin of urban neighborhoods throughout the country: not, as some have argued, black pathology, the culture of poverty, or white flight, but a widespread and institutionalized system of legal and financial exploitation. In Satter's riveting account of a city in crisis, unscrupulous lawyers, slumlords, and speculators are pitched against religious reformers, community organizers, and an impassioned attorney who launched a crusade against the profiteers—the author's father, Mark J. Satter. At the heart of the struggle stand the black migrants who, having left the South with its legacy of sharecropping, suddenly find themselves caught in a new kind of debt peonage. Satter shows the interlocking forces at work in their oppression: the discriminatory practices of the banking industry; the federal policies that created the country's shameful "dual housing market"; the economic anxieties that fueled white violence; and the tempting profits to be made by preying on the city's most vulnerable population. 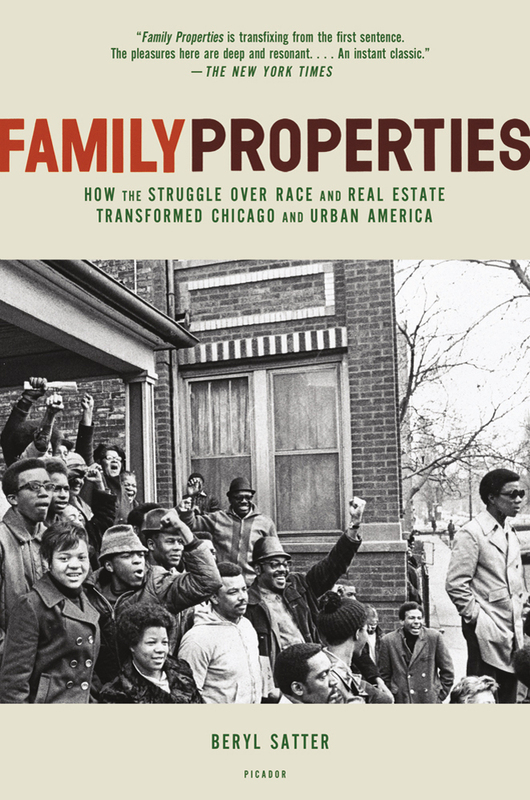 Family Properties: Race, Real Estate, and the Exploitation of Black Urban America is a monumental work of history, this tale of racism and real estate, politics and finance, will forever change our understanding of the forces that transformed urban America. Beryl Satter is the author of Each Mind a Kingdom and the chair of the Department of History at Rutgers University in Newark. She was raised in Chicago, Skokie, and Evanston, Illinois, and is a graduate of the Harvard Divinity School and the Yale American Studies program. For her work in progress on Family Properties, Satter received a J. Anthony Lukas citation. She lives in New York City.